New Pink Running Kicks and Weds Spin Playlist. 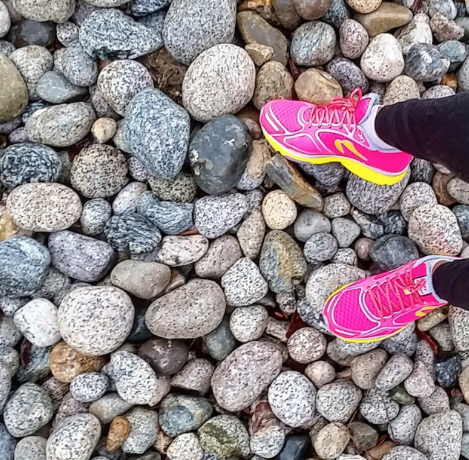 This morning I set out for a windy rainy run in my new pink kicks! I tell ya it feels great to be back in the Newtons. It was a nice little joyride. Let’s get to this week’s spin playlist! 3 classes down already this week, two more to go. Can’t wait to teach this one tonight! What’s on your workout playlist this week? Love this. I use Spotify and this morning put on SoulCycle station on shuffle. It was great! I loved listening to some new tunes I’ve never heard before! Love it!! Soul Cycle is so much fun and good music too! Love Spotify as well! heyyyy chica! never had a pair of Newtons on my feet but i always dig a good bright color for kicks! They’re great shoes! Of course every foot and stride is different but worth looking into! I am feeling those pink kicks. And you definitely need a whole lot of running shoes for all the WORK you’ve been doing out there. Super cute. haha I know right!?! I need a closet just full of ONLY running shoes!!! I have worn Newtons for years. LOVE them. They are the bomb dot com!!! I love the pink running kicks! It’s pretty good I have to say!